It’s been a bit of challenging year in the puzzle world, what with the deaths of some of our most legendary constructors and a horrible plagiarism scandal. The team at Lone Shark Games thought, “What could we do to bring all the puzzle people together around something positive?”So, working with our fellow genius puzzle designers and our friends at Humble Bundle, we made something positive: The Humble Puzzle Bundle. You can click that right now and get it. In our case, we wanted to raise money in part for Worldbuilders, the It Gets Better Project, andChild’s Play. Those are really fantastic charities, and so we needed the best excuse for you to throw your money at us. 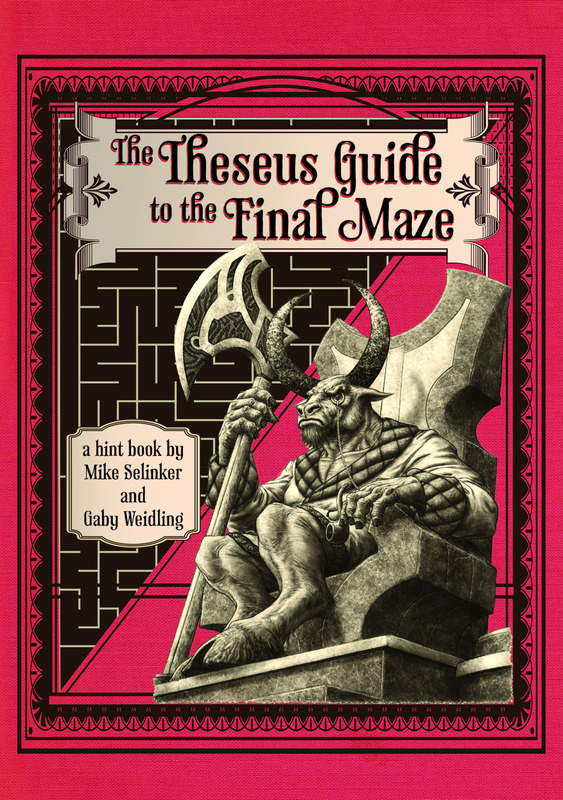 We started by throwing in a PDF of our popular puzzle novel The Maze of Games, and made the hardback available at a temporarily reduced price. Then we added a truckload of new content from us like a Crosswords of Wisdom collection and the Killer Cryptics book (which you’ll also get free in Puzzazz). Then we got our best puzzle friends to contribute PDFs of their own books. Crossword gods like Brendan Emmett Quigley and Francis Heaney and Matt Jones joined with logic masters like Pavel Curtis and Thomas “Dr. Sudoku” Snyder. And we got all the Puzzle Patricks: Patrick Berry, Patrick Blindauer, and Patrick Merrell. Many of these folks contributed books that have never been seen before. You will never see this stuff in one place again, I promise. Yes, that is a BRAND NEW MAZE OF GAMES BOOK. No one has yet alerted us to the fact that they’ve solved the final maze in The Maze of Games. That’s a real shame, because it’s a great final puzzle. So we decided to ask you to help us develop this book, and raise money for our favorite causes at the same time. For every $20,000 our Humble Puzzle Bundle raises, we’ll add a bonus hint puzzle to this book. The more you guys contribute, the cooler it’ll be when we put out the PDF in October. And maybe someone out there will crack that final maze. If you’re a puzzle fan, we can’t imagine coming up with a more attractive opportunity for you. But you don’t have much time. In fact, you have from right now till August 3. Please share this with everyone, then go puzzle your brain!